Even though Simply Modern Mom is a mom blog, I love to follow design blogs for inspirations and ideas. And one of my favorite design blogs is How About Orange by Jessica. She is amazing with her design and always have the best craft ideas. I love this simple packaging idea from Jessica. I love little packages and these are perfect for gift giving. 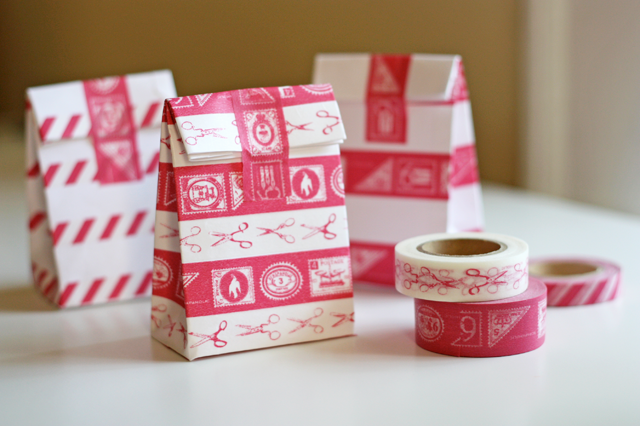 Here’s an easy way to make pretty gift bags from envelopes, using Japanese washi tape for decoration. These little sacks could be used to hold candy, party favors, or tiny presents. Coordinate the tape color with the contents or your party theme. an envelope. I used 4 3/8 x 5 3/4 inch envelopes, but any size will work. 1. 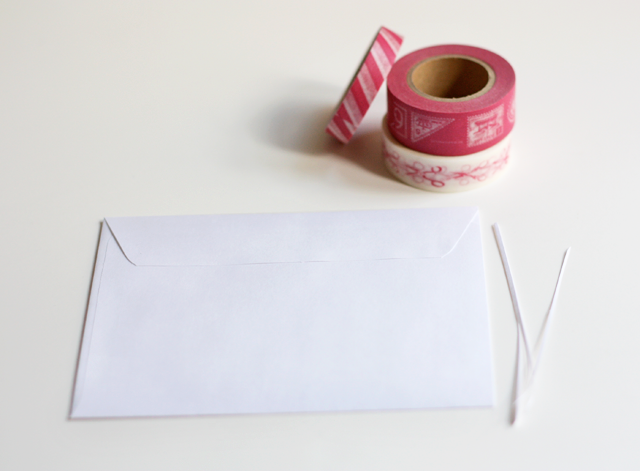 Seal the envelope and trim off one of the short sides to make an opening. 2. 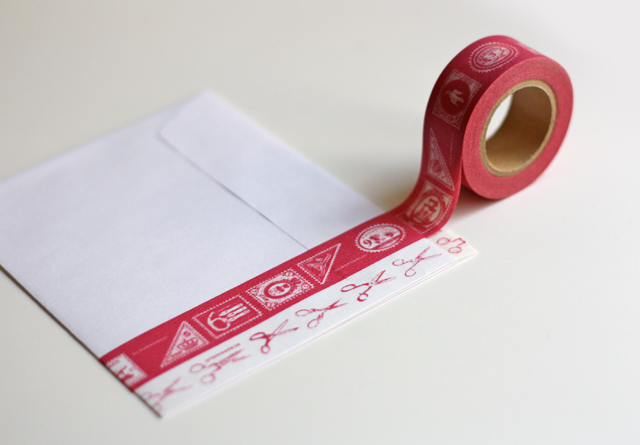 Wrap tape around both sides of the envelope. No need to cover the last inch, since it will form the bottom of the bag. 3. 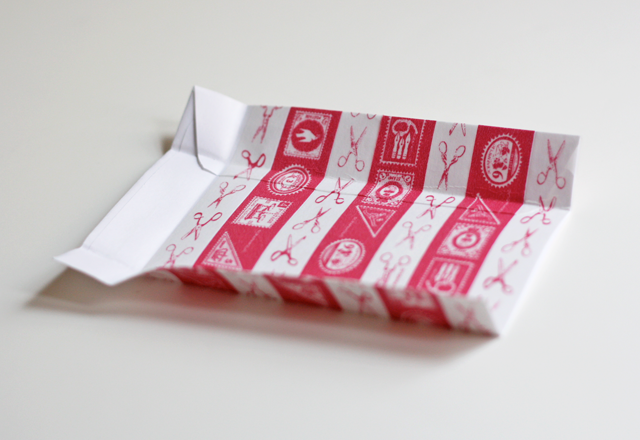 Fold about one inch of each side of the bag toward the middle; then fold the bottom upwards, creasing your folds well. You can vary the width of these flaps depending on the proportion of the bag you want. Flip the bag over and reverse the folds along the same lines for easier shaping in the next step. 4. Put one hand inside the bag, and with the other, push the bottom fold down. This will leave the bottom corners of the bag standing up. Press each corner into a triangle. 5. Fold both triangles down and secure them with more tape, covering the bottom of the bag. Sources of fancy Japanese washi tape include Happy Tape, Cute Tape, and Ginko Papers. Enjoy! 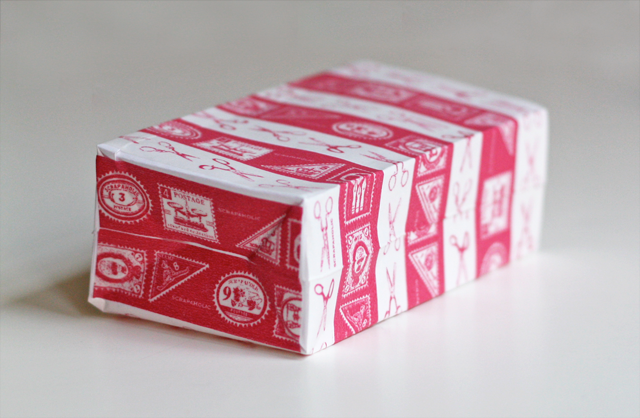 » Tell me… Do you have Japanese washi tape? I would love to have a collection of them because they are so adorable. What do you like to make with designed tapes? Just saw this on Ucreate parties… this is awesome!!! I can’t wait to give this a try! They look pretty but I honestly think this is a waste of tape and money! I love making these from envelopes we have received in the mail especially if they have a pretty stamp on them. We just cut one of the envelope off instead of opening it across the top! A great way to recycle plus our name is already on the bag as the gift giver.